8th, April, 2019, 6:00pm – 8:00pm at Meador Funeral Home, 1204 E. California, Gainesville, Texas. 9th, April, 2019, 10:00 am at Meador Funeral Home, 1204 E. California, Gainesville, Texas. 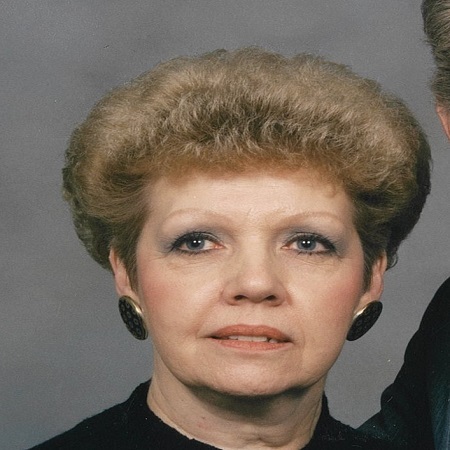 Mary E. Millikan Roye went home to her Lord on April 5, 2019. She was born March 28, 1936, in Eldorado, Illinois to Ottis A. Millikan and Mona Bryan Millikan. As a young girl she played the accordion and sang with her sister Venita on the radio in Harrisburg, Illinois. On November 14, 1951, she married the love of her life John N. Roye, Jr. in Rio Vista, Texas. They were blessed with three children. While they were growing up she worked in the home to care for them. In 1979 she went to work at First Texas Saving in Gainesville, the bank changed names several times until she retired in 1999. Her favorite pass time was to shop for her children and grandkids. She was a loving wife, mother and grandmother. She was generous to a fault, always wanting to help her family any way that she could. She is survived by her husband John, children Debbie and Bob Miller, Randy and Darlene Roye and Lisa Foree. Grandchildren Jennifer Kniss and Josh Campbell, Molly and Brooks Turbeville, Jana and Bart Beck, Gina and Shelby Bezner, J.D. and Ashley Roye, Christopher Miller and Kylie, Peyton Roye and Jenny. Sixteen great-grandchildren. Sister, Kay and J.P. Caldwell. Numerous Nieces and Nephews who adored her. And her very special caregiver Laura Silmon. She was preceded in death by her parents, brothers, Delbert, Dallas, and Bryan Millikan. Sisters, Delma Wilson, Norma O’Neal, Venita O’Neal and son-in-law Tom Foree. Services will be at 10:00 AM, Tuesday, April 9, 2019 at Meador Funeral Home, Gainesville, Texas. A visitation is planned from 6:00 to 8:00 PM, Monday, April 8, 2019. Prayers for all the Family. May God give you strength and courage during this difficult time. So sorry to hear about your loss. I hope all your good memories will help the family through. My thoughts and prayers are with you. J N and family, my heart breaks for you all! Mary was such a sweet soul and I loved her from first time I met her! Pray Gods blessings on all of you this minute that the service is almost behind you! Sorry we could not attend but we rarely get that way any more! Wish we all lived closer! Love you all so much!🙏🙏🙏🙏🙏 Hugs to all! We just learned of Mary Roye’s death. She was a fixture in church and the bank for years. We will miss her and pray that God grants His comfort, strength, and peace to all who miss her.